Background: The objective of this study was to perform a cumulative analysis of odontogenic cysts obtained from the data of major dental institutions of Bangalore city, as well as to evaluate their distribution during a 5-year period and compare the results with other international studies. Materials and Methods: Data for the study were obtained from the reports of patients diagnosed with odontogenic cysts between 2005 and 2010 from different dental institutions of Bangalore. 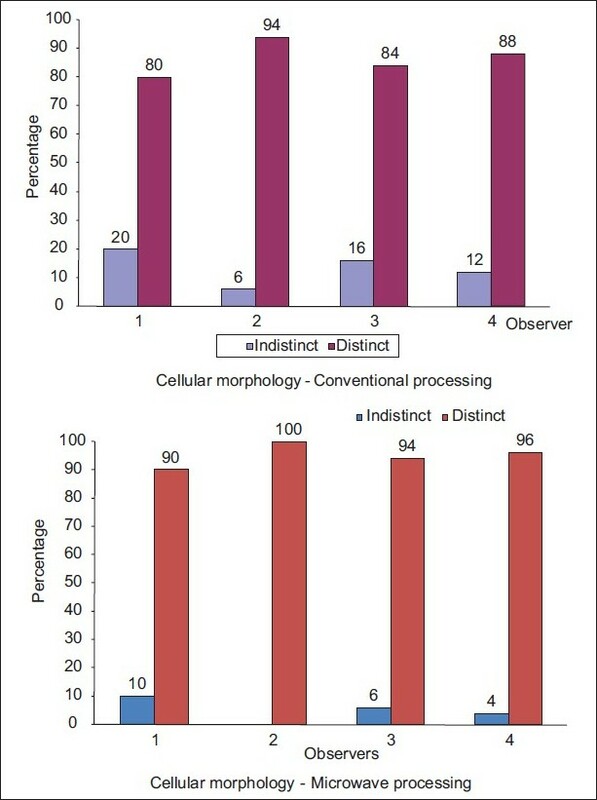 Case records of patients that fit the histological classification of the World Health Organization (WHO) (2005) were included in the study and the following variables were analyzed: age, gender, anatomic location, and histological type. 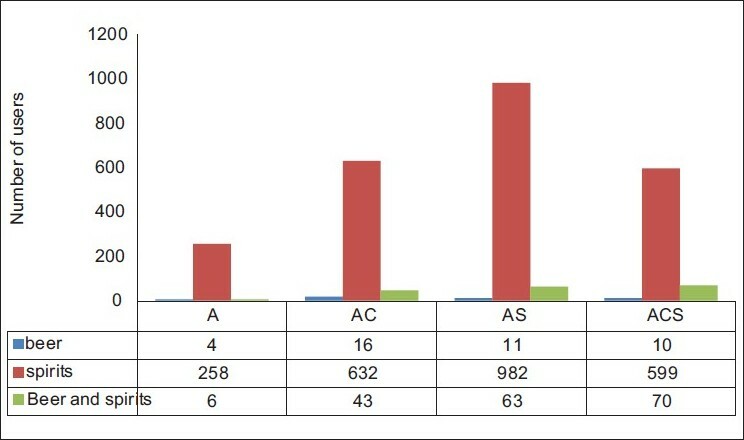 Results: In a total of 252 cyst specimens diagnosed, 79.76% were odontogenic cysts and 20.24% were nonodontogenic cysts. 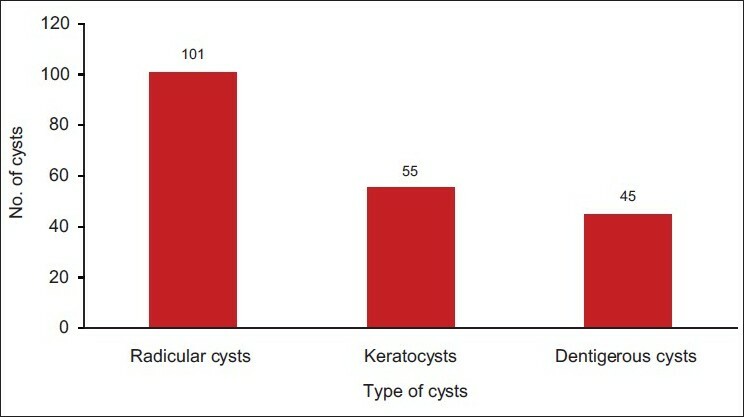 Among the odontogenic cysts most frequent lesions were radicular cysts (50.25%), followed by keratocysts (27.36%) and dentigerous cysts (22.39%). Conclusions: Our study provides a cumulative data of odontogenic cysts in the population of Bangalore city. The results of our study showed a similar frequency of odontogenic cysts as compared to other populations of the world, with radicular cyst being identified as the most frequent odontogenic cyst. Keratocyst was the second most common cyst followed by dentigerous cyst. 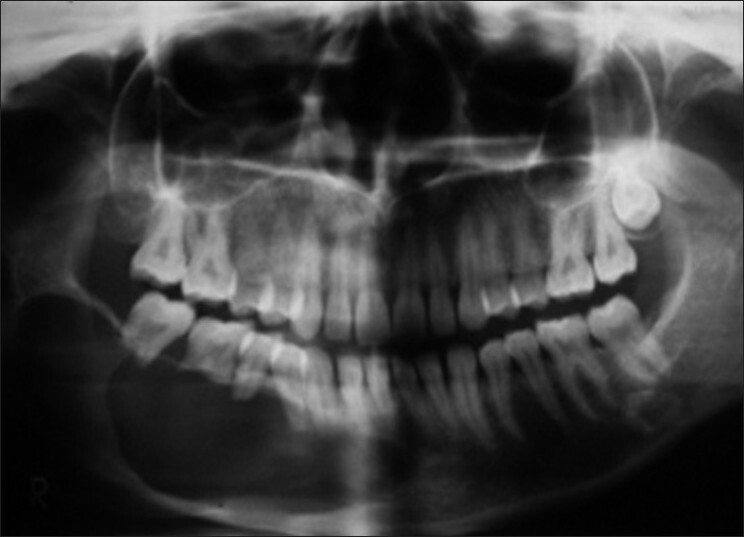 Background: Research in oral and maxillofacial pathology has unlimited potential. We use every technology available to us for better and faster reliable diagnosis. But in most institutions, private laboratories and multispecialty hospitals, tissue processing takes considerable time, and therefore delays the diagnosis, which is required in urgent cases. We, in this institution, conducted a study to hasten the processing by using a simple kitchen microwave. Aim: To analyze tissue sections processed by microwave as compared to the gold standard of conventional processing. Settings and design: Studies published from 1970 till 2008, used body tissues such as brain, liver, kidney, heart, and lungs, for microwave processing. Oral tissues were not processed in microwave till now, except one study by Dr Shivaparthasundaram et al., in 2008. This is the second such study that used a sample size of 50 cases. Materials and Methods: A kitchen microwave was used for irradiation of the tissues. Conventional processing was carried out as per departmental protocol. A total of 50 microwave-coded slides were mixed with 50 conventional slides. All 100 slides were evaluated by four different pathologists. Statistical analysis: The result was subjected to statistical analysis using Chi-square test. 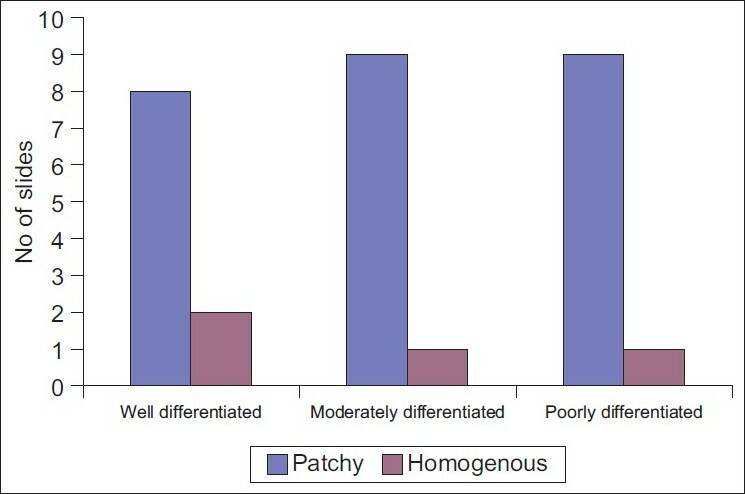 Result and Conclusion: It was found that to make a diagnosis, microwave-processed tissue were at par with the conventional technique. Thus, it is time to move on from conventional processing to microwave processing to yield faster and reliable results. Objective: Saliva is one of the vital fluids secreted in human beings. Significant amount of saliva is deposited on the skin during biting, sucking or licking, and can act as an important source in forensic evidence. 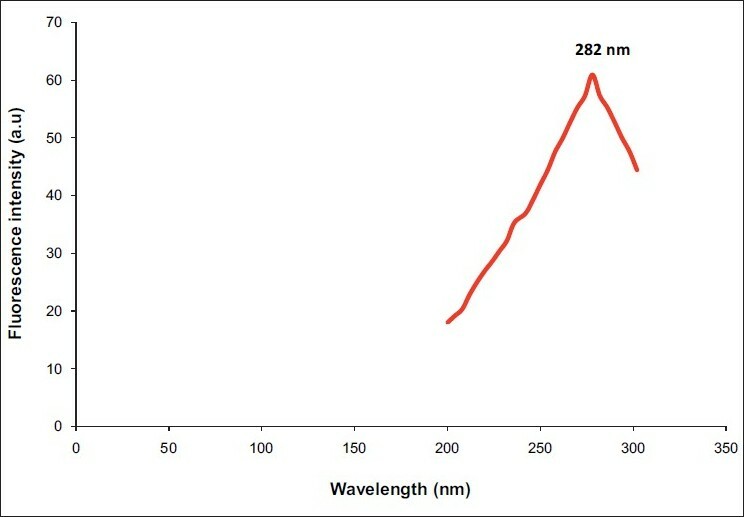 An enzyme, α amylase, gives a characteristic emission spectrum at 345-355 nm when excited at 282 nm and this can be identified by using fluorescent spectroscopy and can help in forensic identification. This study describes a rapid method to detect dried saliva on the human skin by fluorescent spectroscopy. Materials and Methods: This study included 10 volunteers, who deposited their own saliva on skin of their ventral forearm by licking and water on the contralateral arm as control. This study was carried out at Central Leather Research Institute, Chennai. Study design: Ten volunteers deposited their own saliva on skin of their ventral forearm by licking. A control sample of water was deposited at the contralateral arm. Each sample was excited at 282 nm and emission spectrum was recorded. Results: The emission spectra of 10 swab samples taken from dried saliva were characterized at the primary peak of 345 to 355 nm whereas the emission spectrum of water as a control was recorded at 362 nm. Conclusion: The presence of emission spectrum at 345-355 nm with excitation at 282 nm proves to be a strong indicator of saliva deposited on human skin. 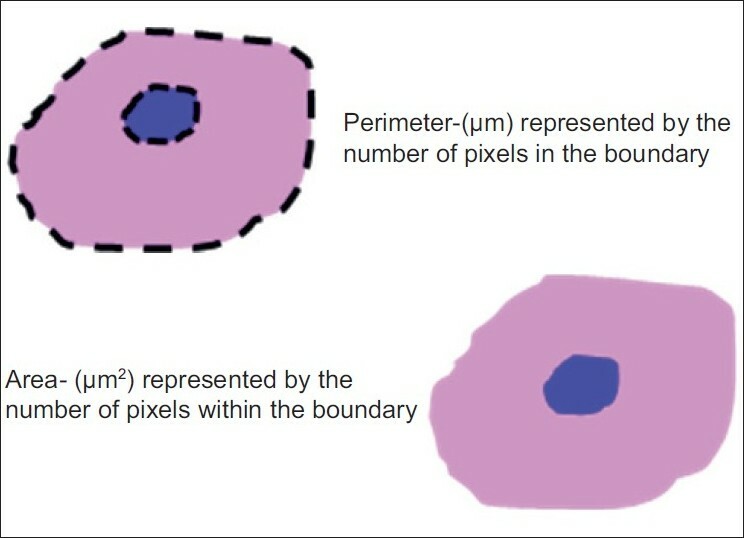 Objectives: To study and compare the changes in nuclear and cellular size, shape and nuclear-cytoplasmic ratio of the cells in the basal layer of oral leukoplakia and well-differentiated oral squamous cell carcinoma (SCC) with normal buccal mucosa, using computer-aided image analysis in tissue sections. Study design: This was a retrospective study conducted on tissue sections on a total number of 70 cases to determine the various morphometric parameters. The data collected in this study were analyzed statistically by computing descriptive statistics, viz., percentage, mean, standard deviation, standard error of mean, 95% confidence interval for mean. The difference in the control and study groups for various diagnostic variables was compared by means of analysis of variance (ANOVA), Student's t-test for independent samples, wherever applicable. Mann-Whitney U-test and Kruskal-Wallis test were used where the data were found to be asymmetrical and the standard deviations were also different. The results were considered statistically significant whenever P ≤ 0.05. Results: Our results were significant for the morphometric parameter, size. The values of nuclear perimeter and area, cellular perimeter and area increased gradually from the normal buccal mucosa to leukoplakia, reaching the highest value in SCC. There was statistically significant difference in the nuclear and cellular areas to differentiate between leukoplakia and squamous cell carcinoma. Two variables which were used to study the shape, "form perimeter (PE)" and "contour index (CI)", showed significant difference between normal buccal mucosa and leukoplakia and between normal buccal mucosa and SCC. The morphometric parameter, nuclear-cytoplasmic ratio, in our results showed an increase in leukoplakia and SCC compared to normal buccal mucosa, but the difference was not significant between leukoplakia and SCC. Conclusion: The morphometric parameter, size, was useful to differentiate between normal, potentially malignant leukoplakia and SCC. Aim: The aim of this study was to see the distribution and pattern of staining of epithelial glycoprotein 40 EGP-40 (also known as GA733-2, ESA, KSA, 17-1A antigen) in the different grades of OSCC. Materials and Methods: 30 biopsy reports retrieved from the files of the Department of Oral Pathology and Microbiology, College of Dental Surgery, Manipal were used. These comprised of 10 microslides each of 3 different histological grades of Oral Squamous Cell Carcinoma, namely Well Differentiated, Moderately Differentiated and Poorly Differentiated carcinomas. Immunoperoxidase staining for IgG, was performed by the unlabelled antibody peroxidase-antiperoxidase complex (PAP) method. The criteria used to define an antigen positive area were: Homogenous /Patchy staining of the section and Cytoplasmic/ Membranous staining of the tumor cells. Results : The expression of EGP 40 in different grades of OSCC showed an inverse relationship to differentiation and a direct relationship with the proliferation of the tumor cells and its expression became more pronounced as the grade worsened i.e. from well to poorly differentiated OSCC. Conclusion: In the present study, the surface antigen EGP40 (Ep-CAM) was detected in the different grades of OSCC with its expression becoming more pronounced as the grade worsened i.e. from well to poorly differentiated OSCC. However, further studies are required to understand the dualistic role of EGP40 (Ep-CAM) in mediating cell to cell adhesion preventing cell scattering and its heterogeneous expression in promoting tumor invasion and metastasis and also to determine its exact role and significance at a practically applicable level. Nevirapine is a non-nucleoside reverse transcriptase inhibitor, widely used in combination with other antiretroviral agents for treatment of HIV infection. Steven Johnson syndrome (SJS) is the major toxicity of nevirapine. We describe here four cases of SJS in HIV seropositive patients following nevirapine therapy. 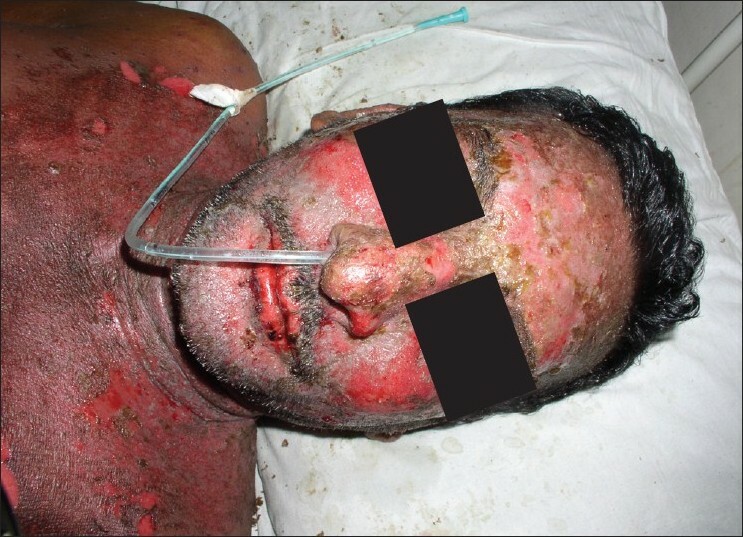 In all four cases cutaneous hypersensitivity reaction was seen with extreme oral lesions, three patients presented clinically with elevated liver enzymes and hepatitis, and two patients had ocular involvement. 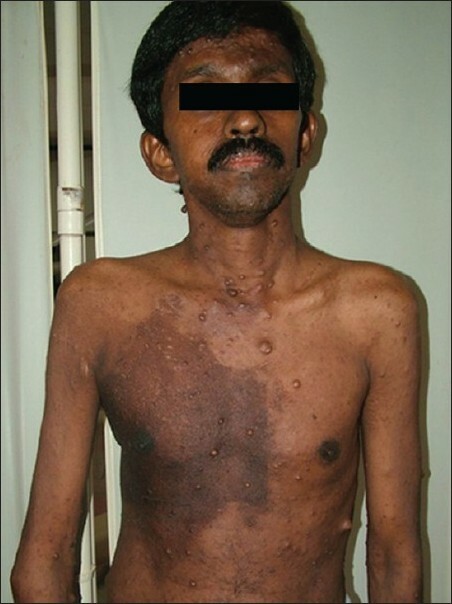 Neurofibromatosis-1 (NF-1) is a relatively common autosomal dominant disease characterized by multiple cutaneous fibromatoses and café au lait spots. It is associated with the mutation of NF-1 gene, a tumor suppressor gene located on chromosome 17q11.2. Hence, it can be considered as a familial cancer predisposition syndrome in which the affected individuals are at increased risk of developing malignancies. Intraoral neurofibromas associated with NF-1 are quite common, but the occurrence of malignant peripheral nerve sheath tumor (MPNST) in the oral cavity is very rare. Oral MPNST can occur either de novo or by malignant transformation of neurofibromas or very rarely can represent a metastatic lesion. 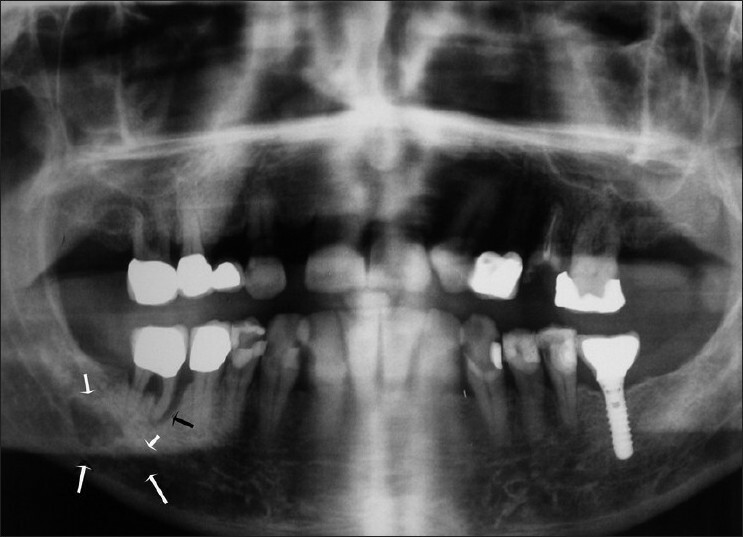 Here, we present a case of MPNST involving the maxillary region, in a patient with NF-1. 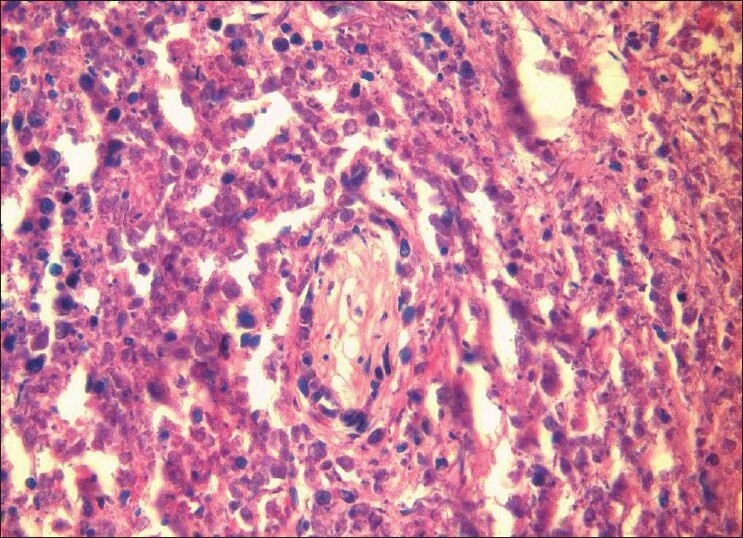 Since MPNST often creates a diagnostic dilemma, histopathologic criteria for the diagnosis of MPNST are also discussed. Histiocytomas constitute a large group of tumors, the classification of which created a lot of confusion in the past. For this reason, various attempts were carried out during the last years so that a widely accepted classification system could be defined. Fibroxanthomas, according to contemporary data, are classified into benign histiocytomas and they are mostly located at the skin of extremities. They are rarely localized in the area of the head and neck, where they are found commonly in soft tissue. Fibroxanthomas located at the bones of oral and maxillofacial region are extremely rare. 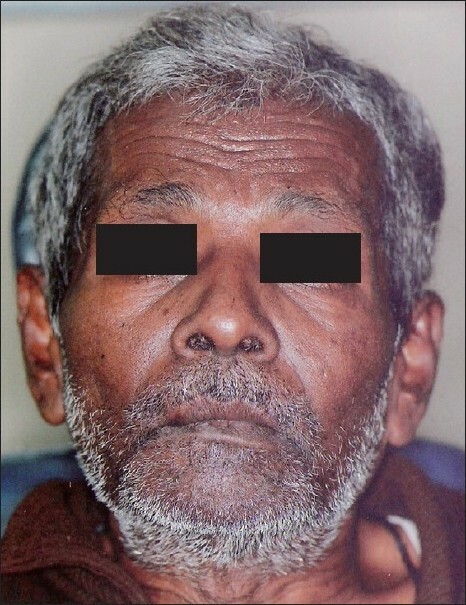 The purpose of this paper is to present a case of a fibroxanthoma located at the mandible as well as to analyze the histological findings of the lesion on which the diagnosis and differential diagnosis were based. Brown tumors are erosive bony lesions caused by rapid osteoclastic activity and peritrabecular fibrosis due to hyperparathyroidism, resulting in a local destructive phenomenon. The classical "brown tumor" is commonly seen in ends of long bones, the pelvis and ribs. Facial involvement is rare and, when present, usually involves the mandible. We report a case of 60-year-old male with a rare initial presentation of primary hyperparathyroidism with bilateral maxillary brown tumors. The present case represents the third report of the bilateral maxillary brown tumors in a patient with primary hyperparathyroidism. Differential diagnosis is important for the right treatment choice. It should exclude other giant cell lesions that affect the maxillae. Odontoameloblastoma (OA) is an extremely rare mixed odontogenic tumor with both epithelial and mesenchymal components. OA develops from proliferating odontogenic epithelium and mesenchymal tissue. Till date, around 20 cases have fulfilled the histologic criteria of the current World Health Organization (WHO) histologic classification of odontogenic tumors. 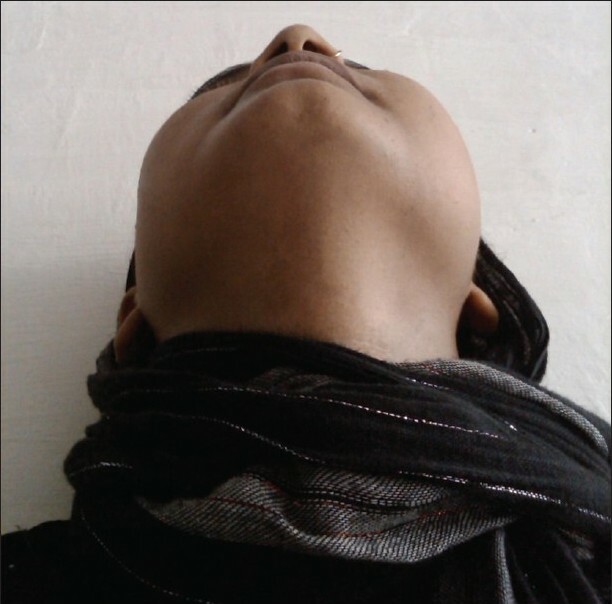 It affects predominantly young patients with a median age of 20.12 years, and has a predilection for males and occurs in posterior segments of either jaw with slight inclination for mandible. Review of literature shows only three reported cases in the anterior mandible. Here, we report a case of OA in the anterior mandible. Here, we present a case report of peripheral ossifying fibroma (POF) in an adult lady in her fourth decade of life. This case report comprises the growth that occurred in the mandibular anterior region with displacement of anterior teeth, its satisfactory management and literature review. POF represents a reactive benign lesion of connective tissue and is not the soft tissue counterpart of ossifying fibroma and is also not related anyhow to peripheral odontogenic fibroma. POF in the age of 45 years, arising in the mandibular anterior region, is an occasional entity. Careful clinical examination and histopathology findings should be correlated to conclude the final diagnosis. Congenital erythropoietic porphyria (CEP) is one of the rarest of porphyrias occurring worldwide. CEP is a very rare genetic autosomal recessive disease, with mutation in the gene that codifies uroporphyrinogen-III synthase, leading to porphyrin accumulation in many tissues, with marked skin photosensitivity, hemolytic anemia with splenomegaly and a decreased life expectancy. We report a case of Günther's disease in view of its rarity along with a description of this interesting condition. 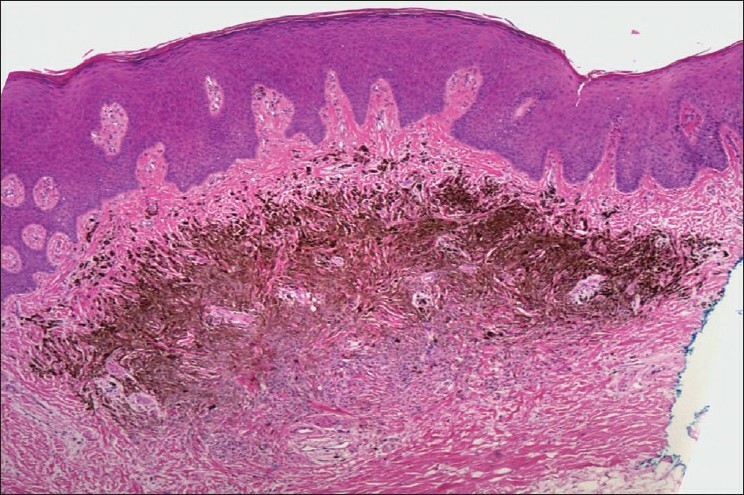 An 18-month-old female baby with clinical, hematological and biochemical profile of CEP was reported with marked skin photosensitivity over face and hands. She had erythrodontia with delayed eruption of teeth. When evaluating erythrodontia of uncertain cause, we advocate maintaining a high degree of awareness for porphyria, especially for CEP as it is the rarest among porphyria and is a life-threatening condition. Ectomesenchymal chondromyxoid tumor (ECMT) is a rare benign intraoral tumor. Clinically, it presents as a slow growing, painless, firm, submucosal swelling exclusively occurring on the anterior dorsum of the tongue. Till date only 40 cases have been reported in literature. Histopathologically the tumor is characterized by a well circumscribed, lobular proliferation of round, polygonal, ovoid or fusiform cells in a net-like pattern in a myxoid to chondromyxoid background. 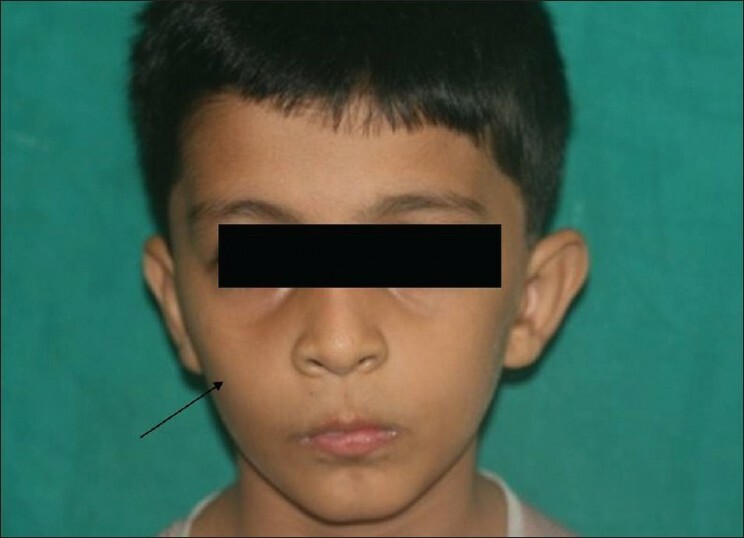 Here, we present a rare case of ECMT occurring in a 7-year-old boy and throw some light on this distinct entity. Schwannoma (also known as neurilemmoma, peripheral glioma and peripheral nerve sheath tumor) is a common, histologically distinctive, benign, usually encapsulated, peripheral nerve tumor of Schwann cell origin. Schwannomas can appear anywhere in the body, but are more frequently reported in the head and neck with an incidence of 25-48% in maxillofacial region. Resorption of bones due to schwannoma is rarely noticed in maxillofacial region. We hereby present a case report of schwannoma in a 35-year-old female, causing resorption of zygomatic arch along with review of literature. Dentigerous cysts are the most common developmental cysts of the jaws, most frequently associated with impacted mandibular third molar teeth and impacted canines. 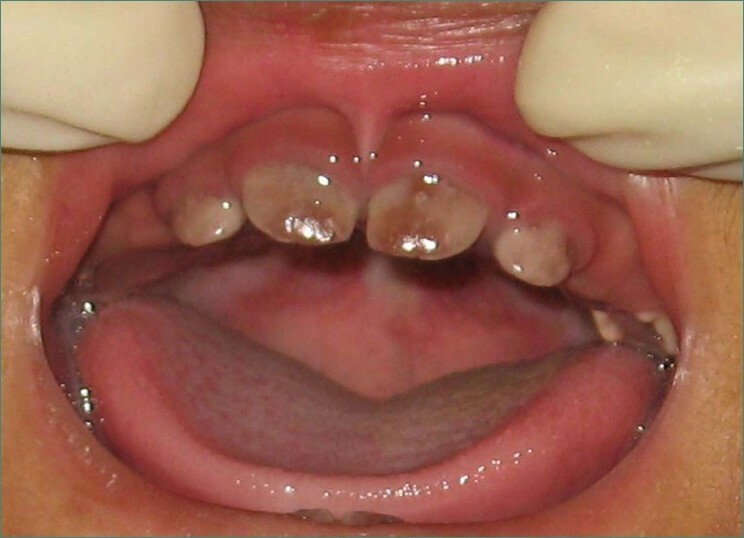 Bilateral dentigerous cysts are rare and occur typically in association with a developmental syndrome. The occurrence of bilateral dentigerous cysts is rare and, to date, only 21 cases have been reported in literature till 2009. Here, we report a case of bilateral dentigerous cysts in maxillae of non-syndromic 10-year-old patient with brief review of literature. Extranodal NK / T-cell lymphoma, nasal type (ENKL) is a rare lymphoid neoplasm, which in the past has been grouped with a variety of granulomatous diseases. It is an aggressive non-Hodgkin's type characterized clinically by aggressive, nonrelenting destruction of the midline structures of the palate and nasal fossa. 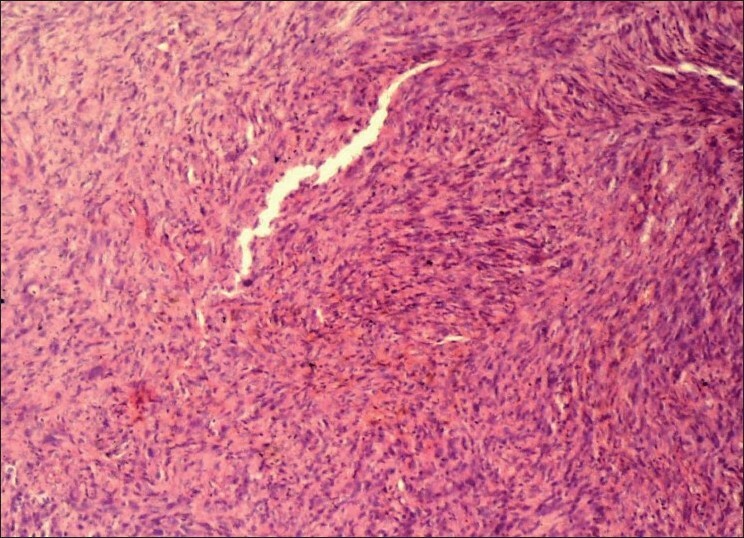 Despite the malignant clinical course, histological diagnosis can be difficult because of extensive tissue necrosis and multiple biopsies that are often required and has an ominous prognosis, as the average survival rate is between 6 and 25 months as reported with a large number of Asian studies. Several American and European studies have shown similar results. 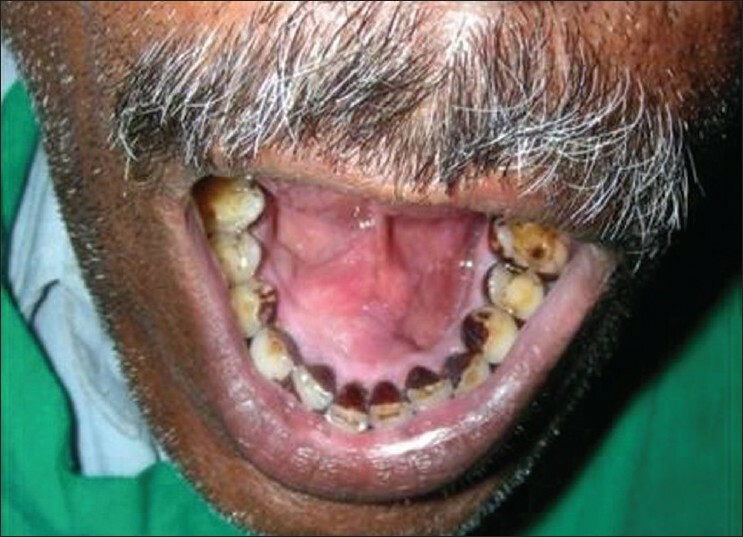 This is the case report of a 60-year-old male patient who presented with nasal obstruction and foul smelling, ulcerative lesion over the palate of 6 months duration, which had been treated with antibiotics and anti-inflammatories without success. After performing a number of diagnostic tests, it was found histologically and confirmed by immunohistochemical analysis that the patient had an ENKL, nasal type (also known as angiocentric T-cell lymphoma). Aneurysmal bone cyst (ABC) is rare benign lesions of bone which are infrequent in craniofacial skeleton. ABC's are characterized by rapid growth pattern with resultant bony expansion and facial asymmetry. We describe a case of ABC in a 25 year old male patient affecting the body of the mandible with expansion and thinning of the buccal and lingual cortical plates. Treatment consisted of surgical curettage of the lesion. A one year follow- up showed restoration of facial symmetry and complete healing of the involved site. 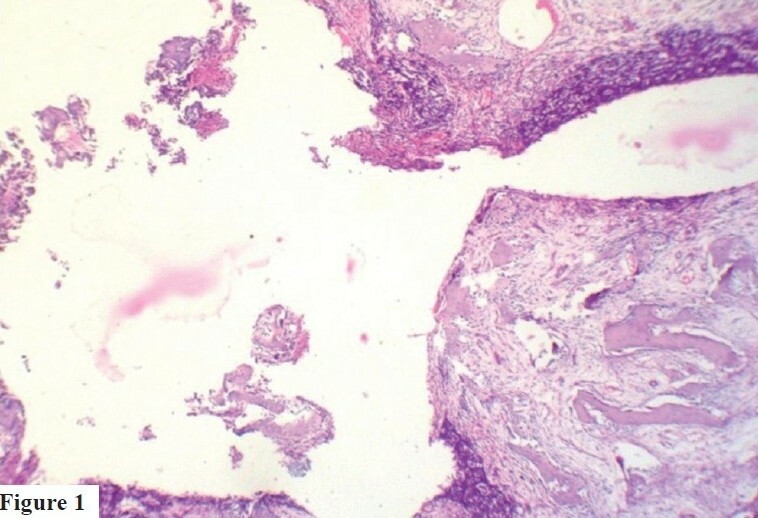 Clear cell differentiation in unicystic ameloblastoma with inclusion of many other histologic variants in the same tumor is a very rare occurrence. 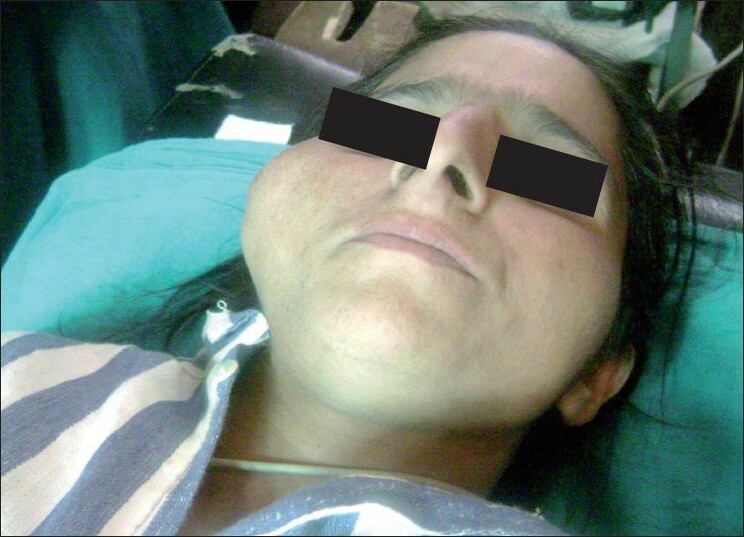 Here, we report a case of a well-circumscribed large mandibular swelling in a 22 - year old female. 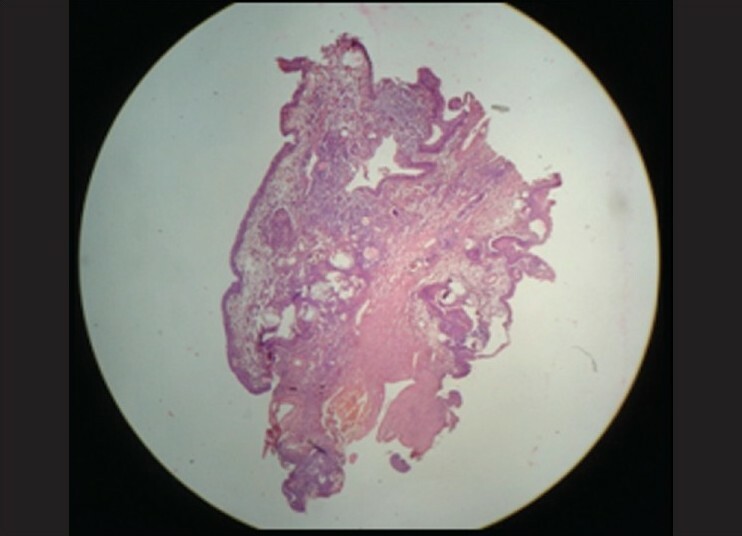 The lesion was histopathologically diagnosed as unicystic ameloblastoma which showed multiple histologic patterns and clear cell differentiation. The tumor was treated with surgical enucleation and chemical cauterization. A follow up of 20 months has shown no recurrence after initial surgery. We present an uncommon case of traumatic pseudolipoma in a 24-year-old female, causing facial asymmetry. Literature review suggests trauma as a possible etiology for its pathogenesis, which was present in this case. Microscopically, sometimes it is difficult to differentiate between normal adipose tissue and lipoma. Clinician must provide accurate clinical information in order to make a definitive diagnosis of traumatic pseudolipoma. Its pathogenesis has also been highlighted in this article.